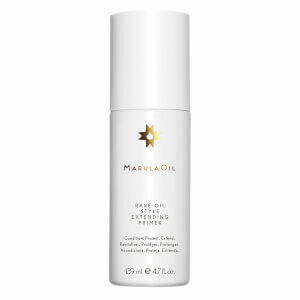 Treat your hair to the Marula Rare Oil Style Extending Primer from Paul Mitchell. Infused with cold-pressed Marula Oil (a precious natural ingredient), the hair primer nourishes and conditions locks, whilst creating a humidity-resistant shield prior to styling for enhanced results. Perfect for use before blow-drying, the lightweight formula smooths, protects, hydrates and helps you to achieve a long-lasting, salon-worthy hairstyle. Notes of Lemon, juicy Orange and Pear are blended with delicate Rose, Lily of the Valley and White Musk to create an exotic floral fragrance. 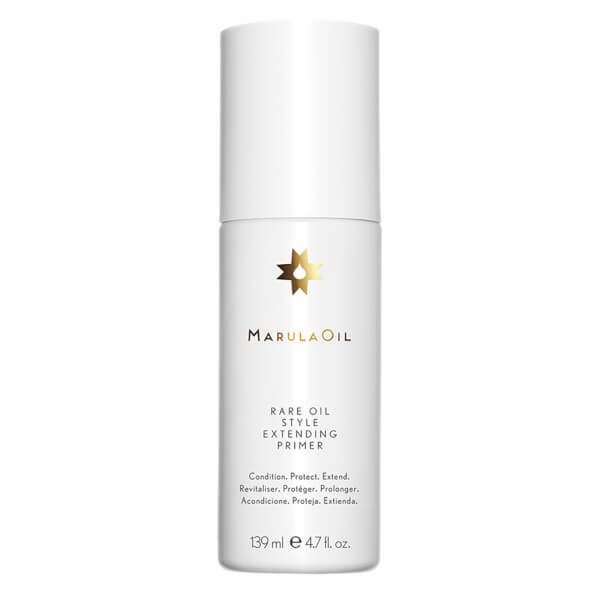 Spray onto clean, damp hair from roots to ends. Comb through and style as usual. Can be used alone or layered under additional stylers.